“By the end…it was clear that Spain’s spiritual and cultural isolation was at an end, overwhelmed by the great alien invasion from the North of money and freedoms. 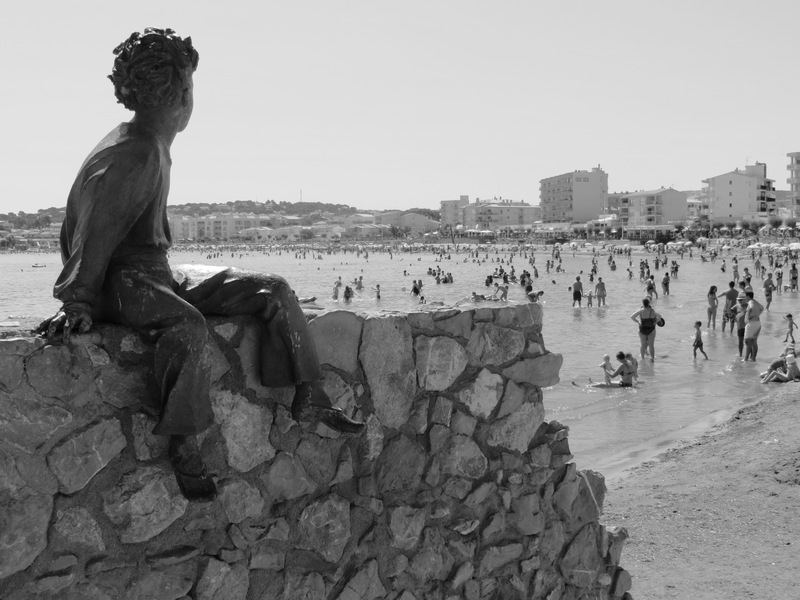 Spain became the most visited tourist country in the World, and slowly, as the foreigners poured in, its identity was submerged, its life-style altered more in a single decade than in the previous century.” – Norman Lewis – ‘Voices of the Old Sea’. The north east coast of Spain was first named Costa Brava by the Catalan journalist and poet Ferran Agulló in an article published in the newspaper La Veu de Catalunya in September 1908 when he applied the name to the stretch of rugged landscape and coast which runs from the river Tordera, near Blanes, to Banyuls. As I understand it, it is rather difficult to agree an exact English translation for Costa Brava. ‘Rugged Coast’ is most often suggested, but a Catalan will tell you that ‘brava’ is a word with a meaning that goes beyond ‘rugged’ to ‘wild’ or ‘fierce’, even ‘savage’. Spanish mass tourism began on the Costa Brava, a truly beautiful stretch of coastline, overlooked by the Pyrenees in the north and which wanders down the coast of the Catalan province of Girona. Along much of its length it is a coastline characterised by intimidating crags and cliffs, nicked by tiny coves and secret bays and backed with rough pine forests stretching all the way down to the water line of the blue Mediterranean. In preparation for visiting the Costa Brava I read the book ‘Voices of the Old Sea’ by Norman Lewis who (allegedly) spent three summers in the fishing village he called Farol and where he watched, recorded and lamented as modern tourism replaced traditional, almost feudal, rural industries and he mourned the changes that take place. The book is an account of localised social change punctuated with humour and stories of strange Catalan customs – such the local tradition of drowning of a mouse in the first barrel of newly-pressed grapes, walking over red hot coals and jumping over babies. It is hard to tell how much embellishment Lewis allowed himself, probably quite a lot I imagine, because he wrote the book many years later from old notes and he even neglects to mention that he travelled there in a Ford Buick with his wife and family and not as a solo traveller as he would prefer us to believe. But it is an affection tinged with melancholy and despair, for Lewis was observing life on the verge of headlong and irreversible change, the cork forests that were the life blood of their neighbours were suffering blight, the fish were not as plentiful as they once were and worst of all, the first waves of tourism were beginning to lap at the shores of the Costa Brava and a way of life was heading for extinction. 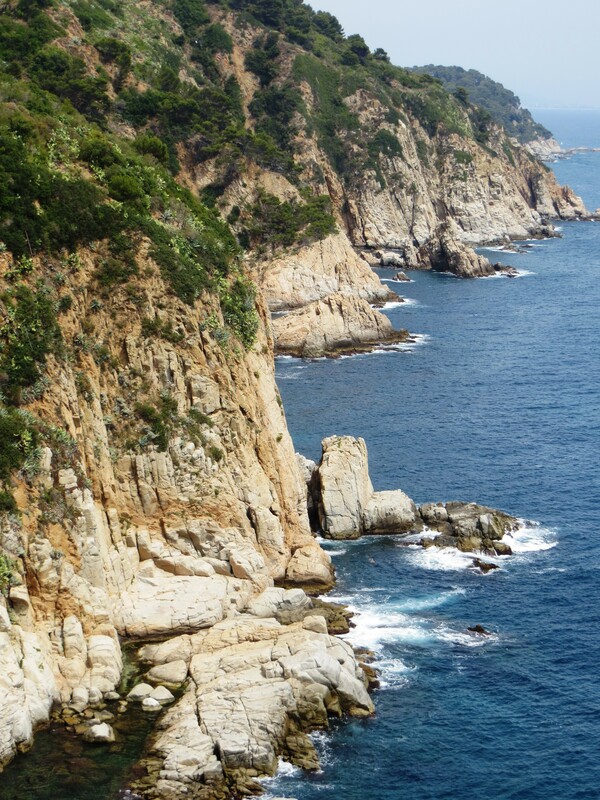 In the 1950s, the Costa Brava was identified by the Spanish government and by local entrepreneurs as being a coastline suitable for substantial development as a holiday destination to compete with the south of France and mainly for package holiday tourists from Northern Europe. It was a sort of perfect ‘Surf and Turf’ with a combination of a very good summer climate, a green environment, excellent beaches and a favourable foreign exchange rate. This made Spain a relatively inexpensive tourist destination and this was exploited by the construction of large numbers of hotels and apartments in such seaside resorts as Blanes, Tossa de Mar, and Lloret and in a relatively short space of time tourism rapidly took over from fishing as the principal business of the area. Lewis recalls his time there to describe the poverty-stricken and almost medieval lifestyle of the fishermen and their families. During the second season a dubious local businessman opens a hotel and begins the gradual transformation of the village into what he considers to be a tasteless tourist trap in spite of resentment and resistance and the fishermen who continue obstinately to fish the dwindling stocks even when it is pointed out that they can earn far more taking tourists on a single boat trip than in a whole season of fishing. By the third season there is no turning back – the fishermen’s wives are working as chambermaids at the hotel, and even Lewis’s friend Sebastian has had to abandon his ambitious travelling plans and become a waiter. There is actually no such place as Farol (farol means bluff) because if he possibly could, Lewis, in a selfish sort of way, wanted to retain its anonymity, he didn’t want his description of an idyllic fishing community to contribute to the flood of tourism that he thought would destroy it. This was all rather pointless of course because by the time he wrote the book the changes had all taken place and there is a wide streak of vanity running through this objective because once started nothing was going to stop the ever increasing flow of pasty faced tourists from the north. Given how much Spain’s Costa Brava had changed already by the time Lewis was writing, Voices of the Old Sea is devastating in its understatement. Refraining from overtly referring to the full extent of the later transformation of the place that Lewis was painfully aware of he lets us fill in the blank sequel ourselves with the shocking knowledge we already have about the impact of the northern invasion. The truth is that it may not even be based on anywhere in particular and many people have tried to identify the fishing village of Farol and I am going to have a try as well. I am fairly certain that the village is on the Bay of Roses which leads me to chose between Roses in the north and L’Escala in the south. I have discounted Cadeques because this would have been just too remote. The nearest big town is almost certainly Figueres so I have concluded that it must be Roses. Lewis doesn’t give away many clues and most people agree that a lot of the content of the book is simply ‘made up’ but I submit two other pieces of evidence to support this theory. Lewis tells us that the village priest Don Ignacio has a passion for archaeology and likes to visit the Roman ruins at Empurias and he visits the site by taking the bus. Now, Empurias is close enough to L’Escala to walk but is thirty kilometres from Roses so would almost certainly require transport. 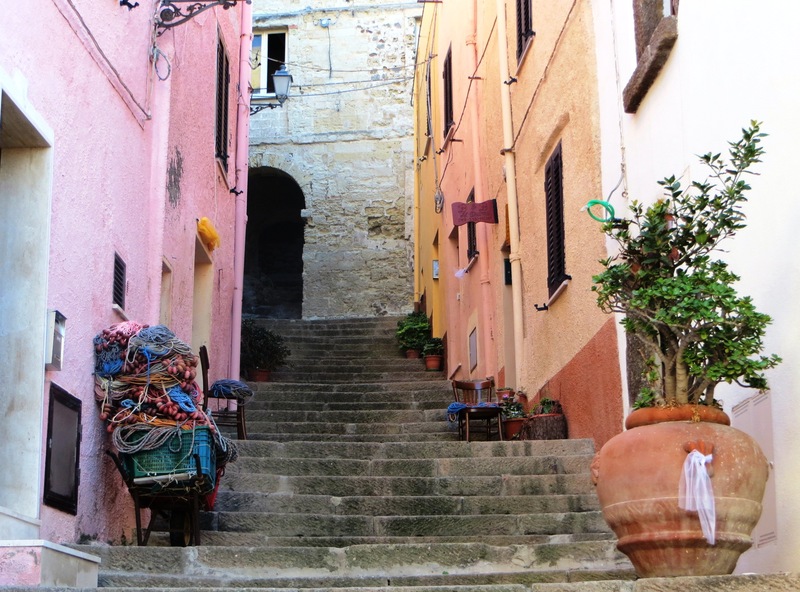 Secondly, Lewis calls the neighbouring village Sort and tells us that it is five kilometres from Farol and lying conveniently five kilometres from Roses is the modern town of Castelló d’Empúries, which I suggest is the village Lewis calls Sort. As secondary evidence I suggest that the name of the entrepreneur who wishes to drive the transition to tourism is taken from a local feature – his name is Mugo which is the name of the river that flows through Castelló d’Empúries and empties into the Bay of Roses. As his influence grows Lewis tells us that Mugo buys new property that is regarded as useless marsh land through which a river flows and this little snippet is not completely irreconcilable with the development of such land south of Roses which was to become the modern day marina of Empuriabrava. 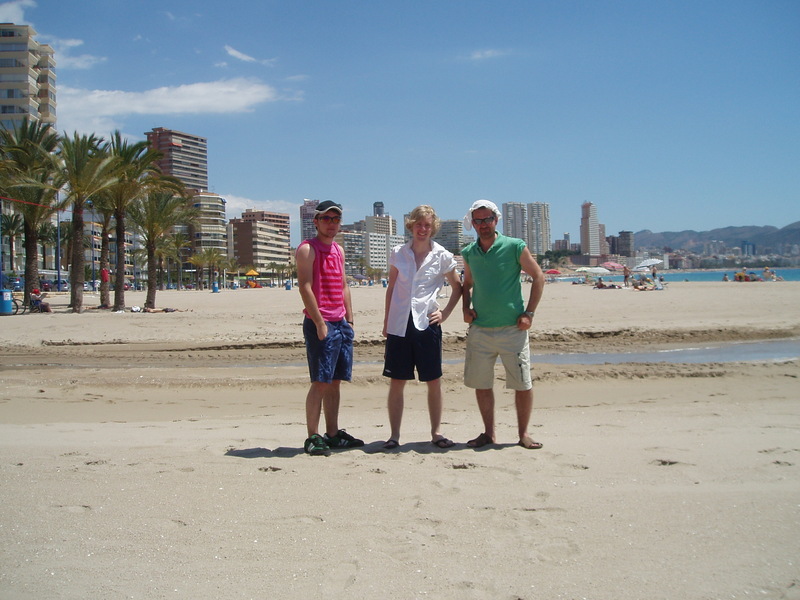 Read my story about Benidorm in the 1960s here. This entry was posted in Beaches, Europe, Food, History, Hotels, Natural Environment, Postcards, Spain, Travel, World Heritage and tagged Catalonia, Catalonia Postcards, Costa Brava, Costs Brava postcards, Culture, Farol Costa Brava, Farol Norman Lewis, Farol Spain, Gerona, Life, Roses Costa Brava. Bookmark the permalink. Thanks Jo – I imagine it was good fun to visit Spain or Portugal in the early days of tourism! I’m late catching up with this article, Andrew, and as usual it’s excellent. I only wish that Norman Lewis had written a bit more about how the transition to tourism had lifted the people of the area from poverty such as we couldn’t imagine in the UK in the 1950’s to being able to live, eat, educate their children and look forward to something like a decent life I knew the are in the late fifties, and believe it, the poverty was complete. My family used to take basic foodstuffs like coffee, rice, oil (theirs was all exported), etc. to families we knew there, plus luxuries like bars of chocolate and whiskey! 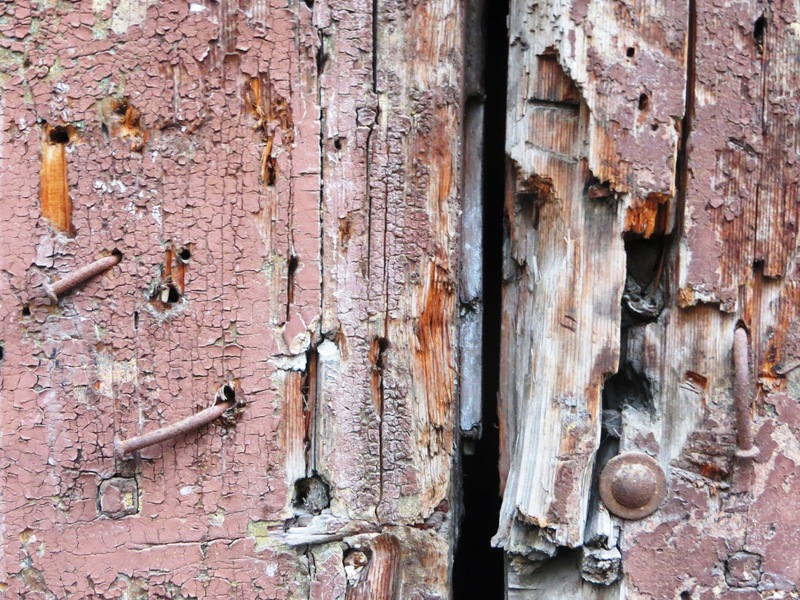 Wanting to retain a traditional life for a few visitors to admire and enjoy, is not always in the best interests of the indigenous people themselves. I know the tourist explosion did great damage to Spain’s coastline, bur the visitor just has to wander inland a few miles and the old Spain is still alive and kicking and looking as it did decades ago. The Spaniard I know, enjoy their New Spain. Pity NL couldn’t have also seen the benefits to come. Thanks for another great piece. Apologies for the typos in the above comment. I did it too quickly and although I read it before submitting, I still missed them. Thanks for sharing this piece of history. I’ll back for more. I obviously wasn’t paying close attention the first time (not uncommon for me 🙂 ) and the memory’s not what it was! 🙂 Still a lovely place to visit if you choose well? Have you been back recently, Andrew? Hi Jo. It is a wonderful part of Spain but I haven’t been back since that visit in 2013. I hope 2016 takes you to a lot of interesting new places! What about the cork oaks, further south, no? Nearer Palamós? A good suggestion, I will have to research it now! I have just started reading NL’s book, and, as is my interest as a retired seaman, l like to have a map to orientate myself.Well, l discovered this web page and am fascinated by what l read.It probably doesn’t do to read a book after finding out so much about it. Of course l’m disappointed it is a pastiche written long afterwards, and that he wasn’t alone.I shall soon find out if the spell of an unknown book is broken for me. Thanks for the information. Thanks Colin. I don’t think the information spoils the read. Important to remember that most travel writers bend the truth a little. Hi Andrew, Ive just read NL’s book and thoroughly enjoyed it. Until I found this website, I was desperately keen to find out about Farol and Sort and wondered why there was no direct geographical reference to them, so thank you. I understand that whilst the names were substitutes, NL’s objective was to illustrate the fate of many small such villages on the verge of monumental change (aka progress!) and your article has certainly added to my interest in the history of such change. My first foreign holiday, aged 11, was a package trip to Calella in 1970 and despite being much later in time, I suspect that it was the ambition/greed of another “Muga” that instigated the due commercialisation of Calella and its neighbouring beach resorts. Hi David, thanks for stopping by and making a contribution. It is a very good book but part three is perhaps a little rushed. Interesting that Lewis wrote the book twenty years after his visit to wherever it was on the Costa Brava and neglects to mention that he travelled there with his wife! Can understand why you are happy this is in your top ten year after year, this is a fabulous piece 🙂 so glad your annual review brought me here to read it. PS I wonder how many of the visits are made in January following your lovely annual round ups, are they perhaps contributing to the stats? Most of them are just consistent numbers throughout the year. Andrew, this is a great read and I’m glad your Top Ten post brought me here. I enjoyed all parts of this, from the history and photos, to your analysis of the true identity of the town of Farol. I appreciate the fact that you can be critical of the author and still like the book. Thanks. I will carry on trying to interpret the book and its locations. 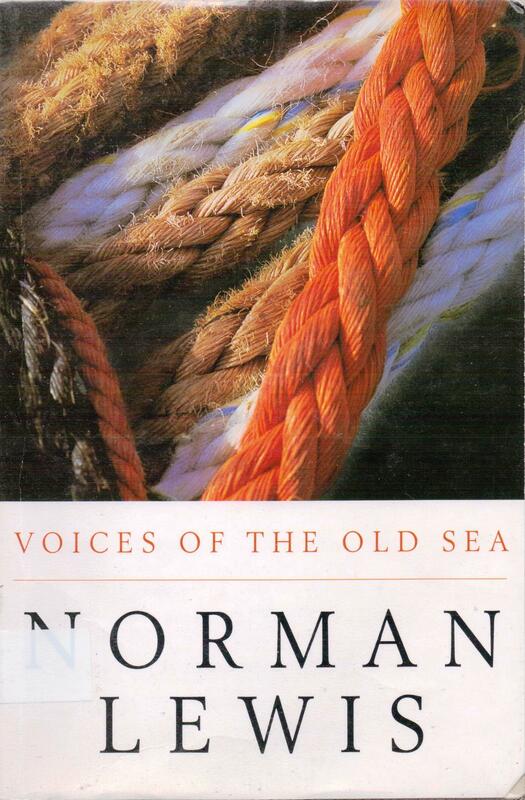 I have read ‘Voices of the Sea’ and enjoyed it and have just found it again and will reak it again. Farol is Ampuriabrava or Santa Margarita and Sort is indeed Castelló d’Empúries, I know the area well and am married to a Catalan. What I found outstanding is, because I suppose Lewis spoke Spanish so well, and this were fascist times, he seems totally unaware that all the villagers would have been speaking to each other in Catalan and would, due to its remoteness, have found Spanish very difficult. They certainly wouldn’t have been educated and so could not possibly have chanted fishermen songs in Spanish or Castilian, this is highly unlikely and must surely be an embellishment from Lewis’s time in Seville. They would have certainly addressed themselves to a foreigner in Spanish. As children in 1973 any Catalan would only address a foreigner in Castilian, out of a mixture of fear and respect and a feeling of inferiority. Thank you for the information, I appreciate the contribution. I was not so far out then? Totally. We have Sort sussed out, I just wonder where Farol is, Santa Margarita? Empuriabrava or Roses itself. Which do you think Andrew? I think Santa Margarita is perhaps too far north, I think it has to be on the Bay of Roses and I like the suggestion of Empuriabrava, that seems quite likely especially because of the river Muga. Yes. I agree. I am checking how old the village is. It is easy to think with its name that it is a new invention but I think it is just as old as Castell d’empúries. On a different subject have you read ‘Solitude’ by Victor Català, or rather Caterina Albert, writing under a man’s name. This is about Toroella de Montgrí and the area above the town. Very atmospheric and written at a similar time as ‘Voices of the Sea’ from a Catalan and feminist point of view. I’ll look out for it, thank you!